From $113.00/mth on Payment Plan What's this? The following instalment plan options are available: $169.50/mo for 2 months* $113.00/mo for 3 months* * PLEASE NOTE: The amounts are indicative. Shipping costs and applicable taxes will be added and Weta Dollars and discounts deducted before the final instalments are calculated. You will have the option to pay off early if you should change your mind. Shipping World Wide from our US and NZ warehouses. SOLD OUT in our EU warehouse. 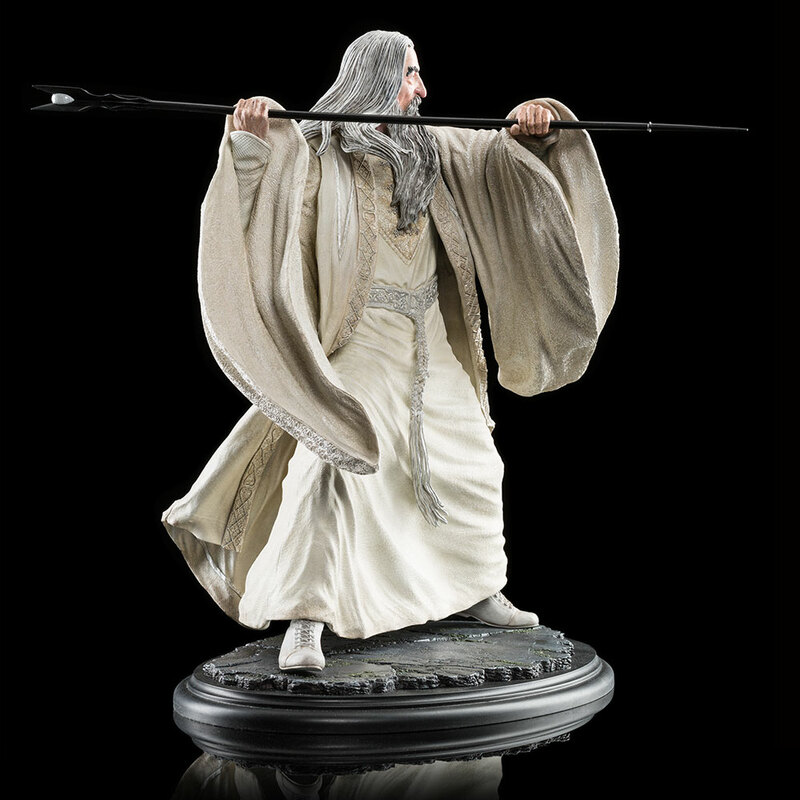 Earn 16.95 Weta Dollars! What's this? 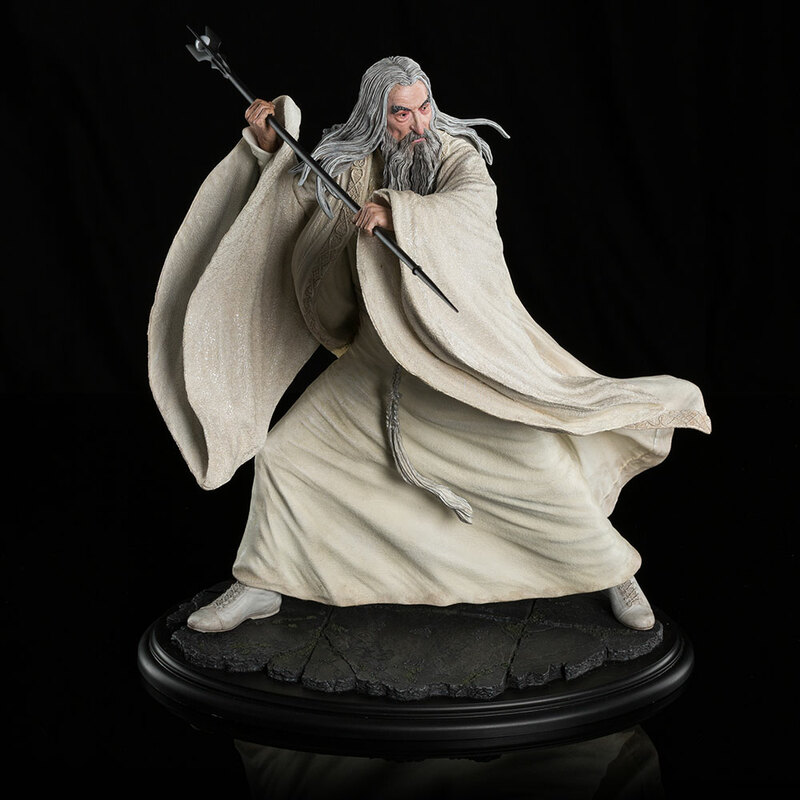 First among the Order of the Istari, the Wizards sent to Middle-earth to rally its peoples against the threat of Sauron’s return, Saruman the White was a being of great intelligence, learning and power, but also of pride. He was sceptical of his fellow Wizards’ assertions that the darkness growing in the ancient fortress of Dol Guldur was anything that should concern them. 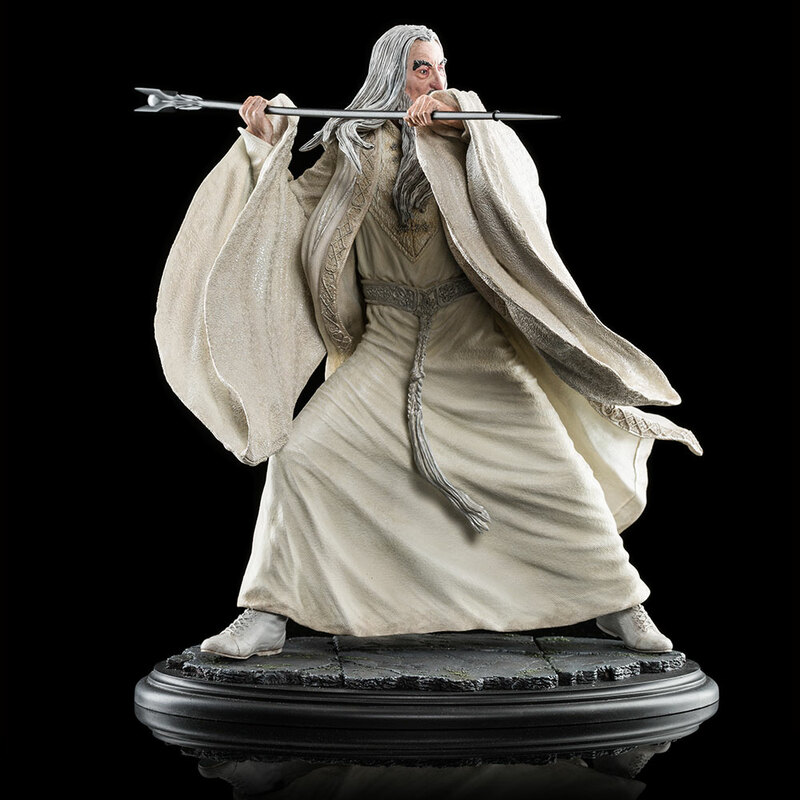 Nevertheless, as a member of the White Council, he joined Lord Elrond and Lady Galadriel when they went to Dol Guldur after Gandalf the Grey, held prisoner there. 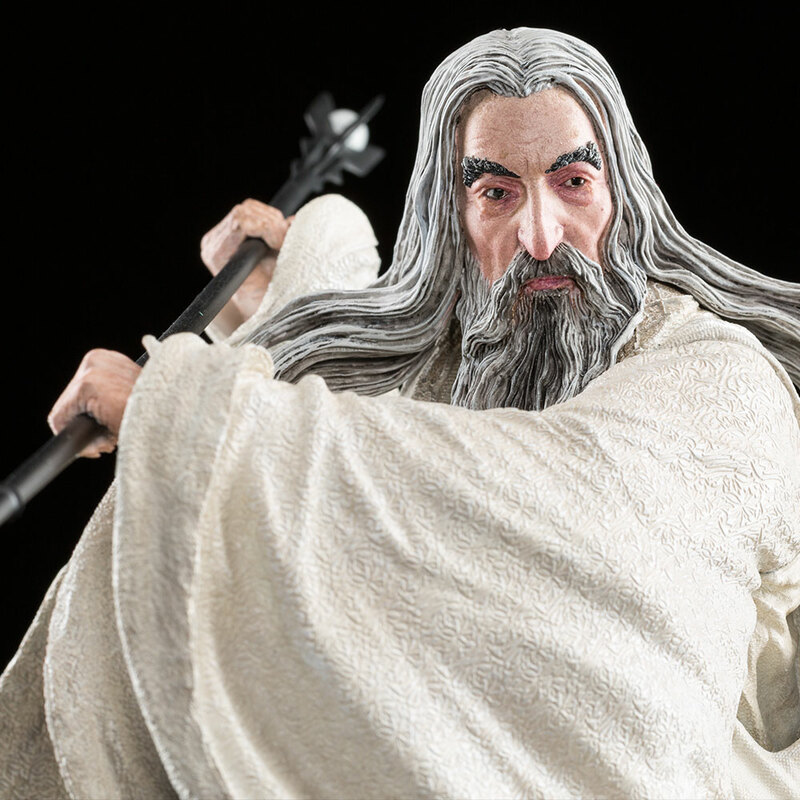 Wielding his staff against the nine resurrected Nazgûl, Saruman fought with all of his considerable might, but was surprised and humbled to discover Gandalf’s captor was indeed Sauron. 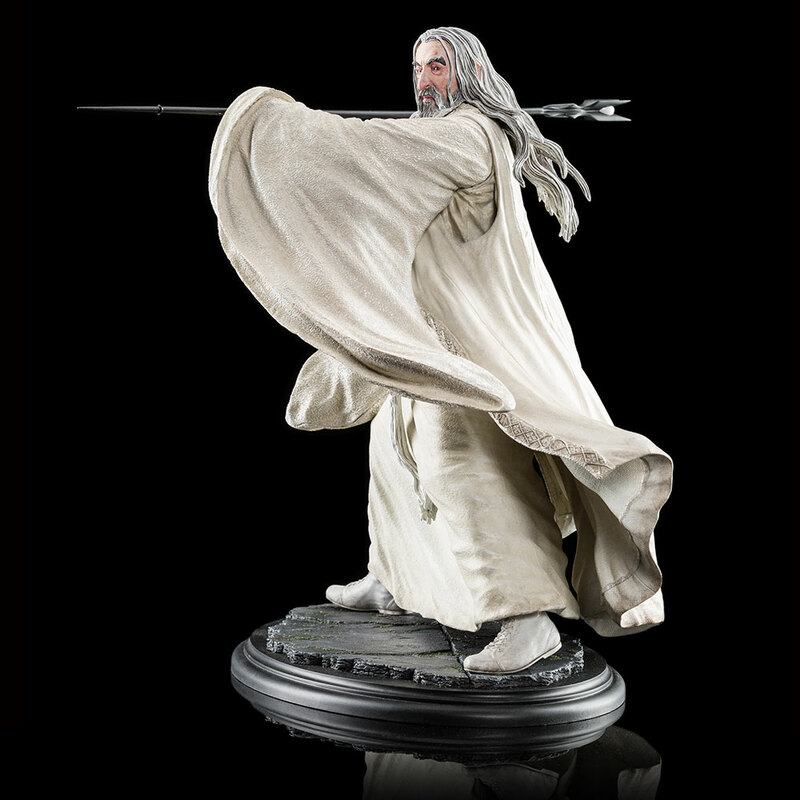 In the wake of the Dark Lord’s flight before them, Saruman promised his fellow council members that he would deal with Sauron. 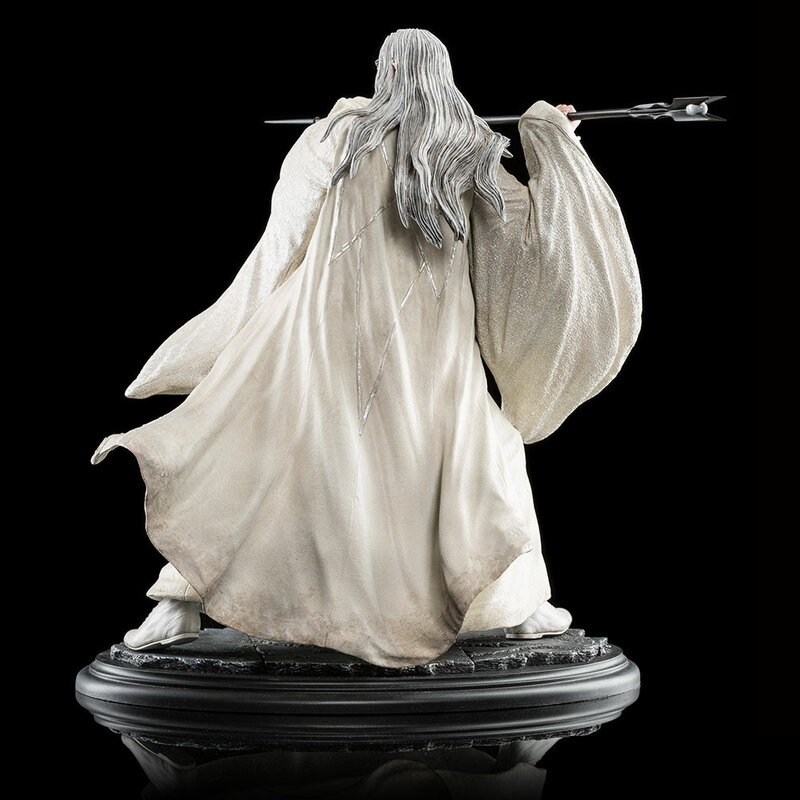 Saruman the White at Dol Guldur is the latest piece announced from Weta Workshop’s high-quality 1:6 scale Middle-earth line; a line that has been made by the very same artists and technicians who work on our movies. It takes 400-500 hours to design, sculpt, model make, mold, and paint the prototype for each new piece. Whether it be a prop replica, beautiful environment or iconic character, we treat our collectibles with the same level of care and attention to detail that we bring to our film work.